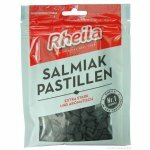 These licorice bits provide a perfect introduction to salmiak, the salty flavoring favored by the Dutch. 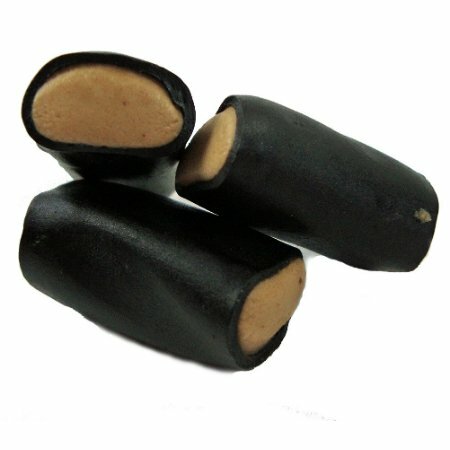 The outside licorice layer is wrapped around a soft, tasty salmiak cream. 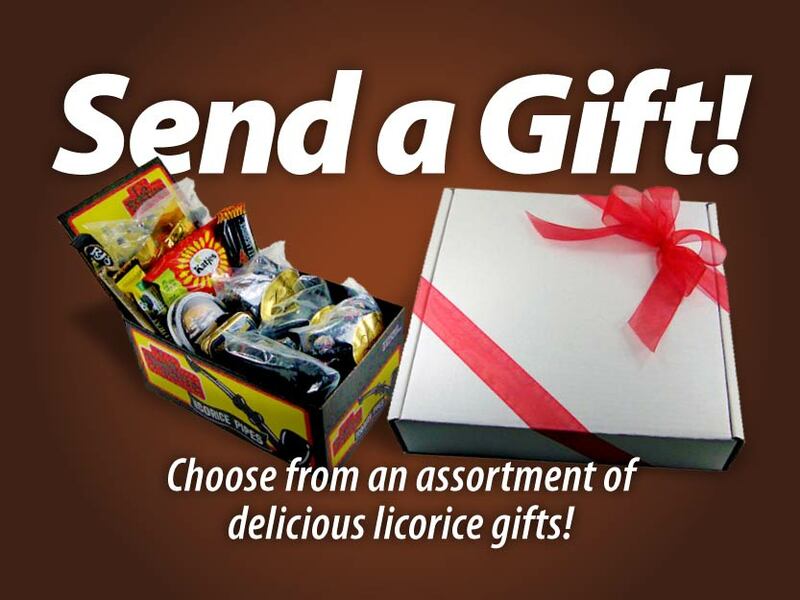 Sugar, molasses, wheat flour, glucose syrup, wheat starch, invert sugar syrup, coconut fat (hydrogenated), ammonium chloride, modified wheat starch, licorice extract, gelatin, color: caramel, natural and artificial flavors, glazing agent: palm oil. "these are addictive, great !!" 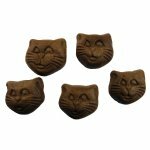 "unusual but nice taste, quite addictive"
"My favorite, a must-have everytime I stop in." "These are my absolute favorites! I start in on them and can't stop. (Is that a positive review?) 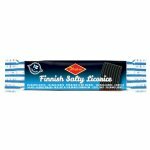 They have a good strong licorice and salmiak flavor without being bitter. How many of these is it ok to eat?" "Salmiak is one of those love-it-or-hate it kind of flavors. 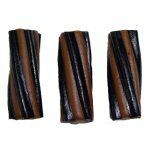 I'm not a big fan, and I think if there was more licorice to balance the salmiak these might have worked better for me. If you like salmiak though, you certainly will enjoy these more."